Welcome to the Bullet Journal System! New to this whole bullet journal thing? 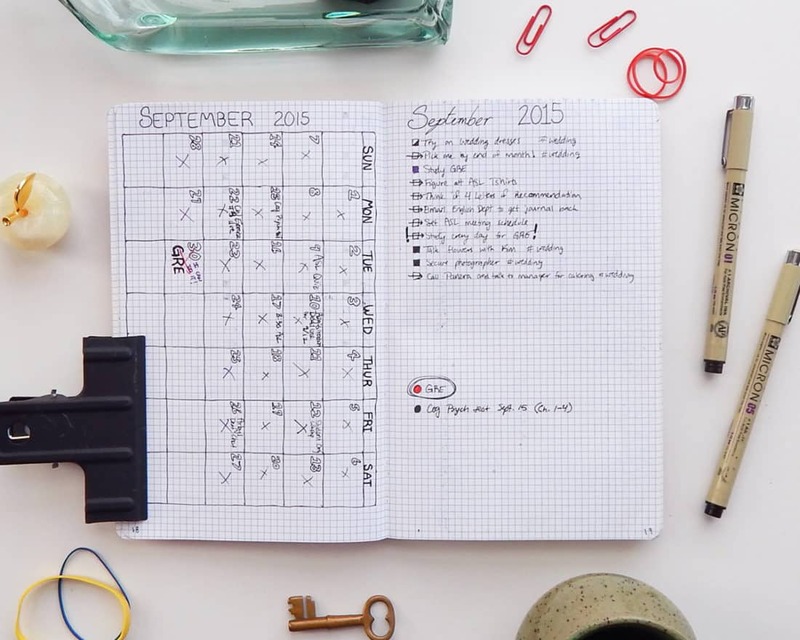 You might be wondering exactly how to start a bullet journal. Thankfully, it’s never been easier to get started and jump right in! You just walked into one of the coolest online communities with tons of inspiration, support, and creativity! There’s a place for everyone here – minimalist, artistic, messy, chaotic, plain – you name it, we’ve got it. Still, you might be feeling some minor trepidation about taking the plunge. Don’t worry, my friend, I’m here to walk you through whatever obstacle stands between you and rocking productivity. Because you are capable of being organized and you deserve to feel productive! So what’s stopping you? It’s the middle of a month, quarter, or year and you feel as though you should start at a natural beginning point. You don’t have all the bullet journal supplies you need. You want to plan it out just right so your bullet journal looks perfect. You’re afraid to invest your time and effort into something that will likely fail. There can be any number of reasons to freeze your pen over the paper, but these are the four worries I hear the most. Thankfully, there’s a fix for all four! But It’s the Middle of the Month! 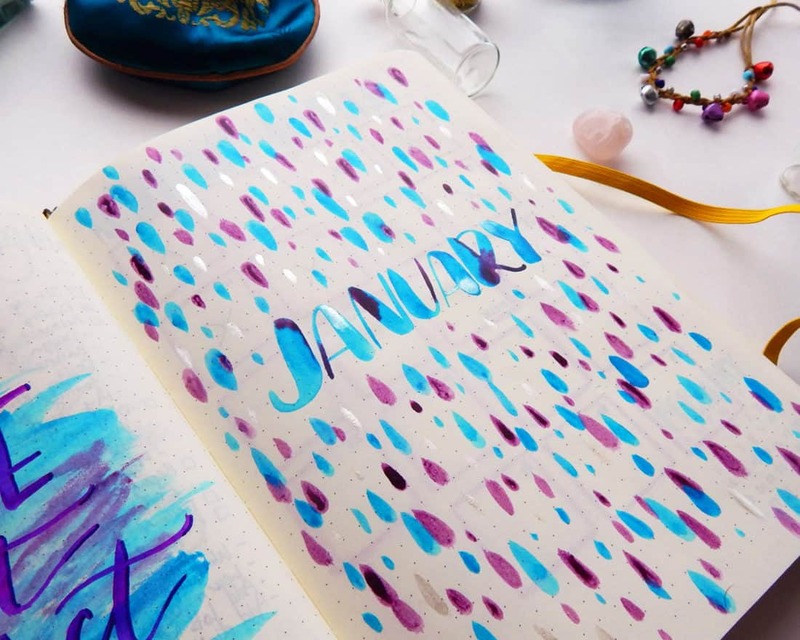 If you have just discovered the amazing bullet journal system, you might have lots of ideas popping into your head on how to set yours up. That’s fantastic! 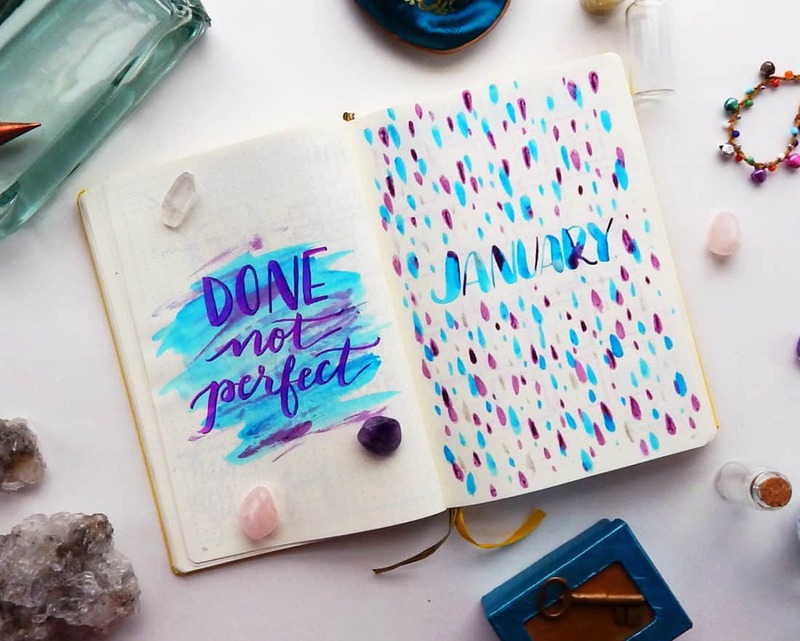 But you might think “I’ll wait until the new month rolls over to implement these” or “January is the only time to start this right.” And then you wait for the perfect moment to start your bullet journal. This is where I tell you to stop procrastinating. Because that’s all you’re doing by waiting. You are nervous and justifying your procrastination with a shiny excuse. 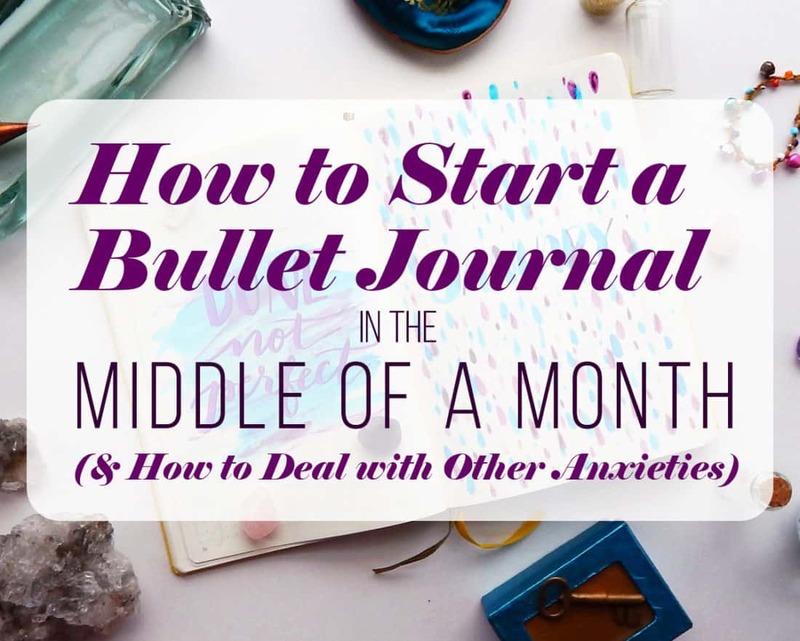 But the secret for how to start a bullet journal is to just start. The only perfect time to begin is right now. If you’re worried that you won’t be able to draw up all your neat ideas because you are halfway through a month, don’t sweat it! You can totally have your cake and eat it too. Instead of drawing out a full 30 day tracker, you can simply shorten it down. That’s what I did for my January spread and it works perfectly. In fact, I managed to comfortably fit my habit tracker, gratitude log, and memories page all into a single spread – and make it look good, too! When you’re looking up how to start a bullet journal, you should see everyone agree that you only need a journal and a pen to begin. You might see other bullet journalists using all kinds of fancy pens, washi tape, and other knick-knacks to dress up their bullet journals. I know I’m guilty of that! But don’t confuse our extra supplies as necessities. You can use any basic notebook to get started and have a fantastic bullet journal. One caveat that I might add is that sometimes, better supplies can lead to a better system. At least, it did for me. I started my first bullet journal in a cheap Ecosystem journal. But I didn’t hit my real stride until I splurged on a Leuchtturm1917. Having a better quality journal led to a huge jump in my productivity and satisfaction because it felt like a treat. Planning didn’t feel like a chore anymore. So my only suggestion on the supplies front is this: ignore all the other extras like tape and highlighters right at the beginning and just find a good notebook. If you love your journal, the rest will fall into place. Everything else can be easily exchanged as you progress, so don’t stress about pens and the like. If you’re looking for some major stationery inspiration, head over to my bullet journal supplies page to see all the stuff I use! I know so many people who have struggled with this obstacle. They practice all their spreads and layouts in a separate notebook before they put them in their official bullet journal because they are afraid of screwing it up. This method is time-consuming and completely unnecessary. Because if you are constantly comparing yourself to others, your bullet journal will always fall flat. I’m pretty experienced and I still look longingly at other people’s gorgeous styles because I can’t quite match it. The only way to fix this, of course, is to simply come up with your own style. Plenty of people look at my bullet journal and think that I just started out this way. The truth is, my particular style took years to manifest. I have been using the bullet journal for more than two years, and the first few months are nothing like my current bullet journal. Don’t believe me? Here are some examples from 2014 (despite my typo saying 2015). The way I went from that to my current style was to keep trying new things. Experimenting with new supplies inspired me. I developed an interest in brush lettering, and I eventually branched into using watercolors and stickers. 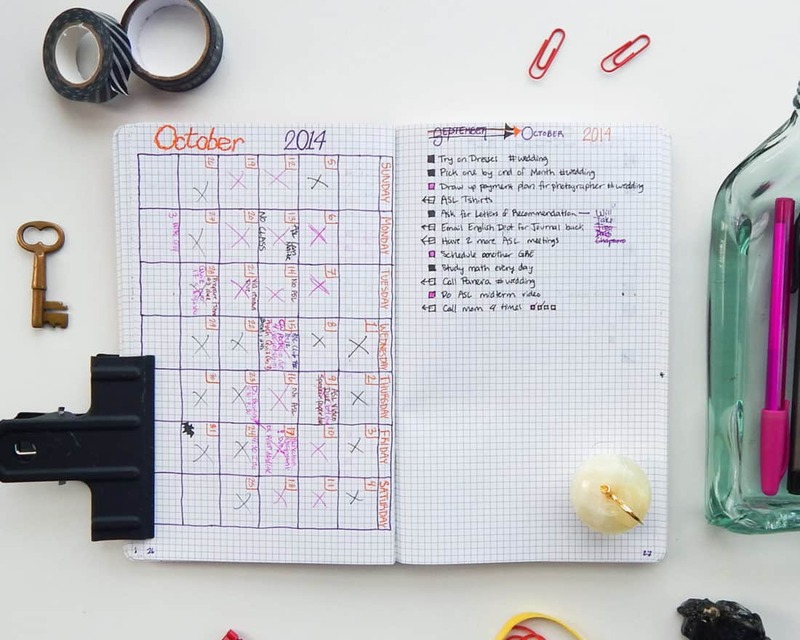 Your bullet journal will look better the more that you use it – so waiting until you’ve perfected everything will be the slowest and least effective method. If perfectionism is an obstacle for you, I want you to read this post and repeat this phrase: Done Not Perfect. If you’re anything like me, you’ve tried several other organization systems before only to have them fail miserably. I feel ya. It’s frustrating. That’s why I was so skeptical of the bullet journal system. It excited me, but I knew deep down that I would fail at it like all the rest before. So I didn’t jump in wholeheartedly – I dipped my toes and eased into it. If you want to do this, I completely understand. You can only get your heart broken by so many organization systems. But the bullet journal truly is different, at least for me. And when I finally immersed myself into the system, I was rewarded. That’s not to say that I’m a bullet journal saint. I’m constantly forgetting to fill in trackers, migrate responsibilities, or draw up new layouts. The only reason I have half of January set up is that I fell off the bullet journal wagon for about a month and it took me forever to get back into it. But that’s okay! The bullet journal is the kindest, most warm-hearted lover you’ve ever had. It will always forgive you and allow you to start again. It will always let you make mistakes and learn from them. So if you are fearing failure and using that as an excuse to not even begin, remember that it’s okay to mess up. You’re only a human being and you are learning. Forgive yourself and try again. Nothing, really. Unless you are currently waiting for your journal to ship from Amazon, you have no leg to stand on here. Starting a new bullet journal can be a scary thing because it means you are responsible. God knows being responsible is terrifying. 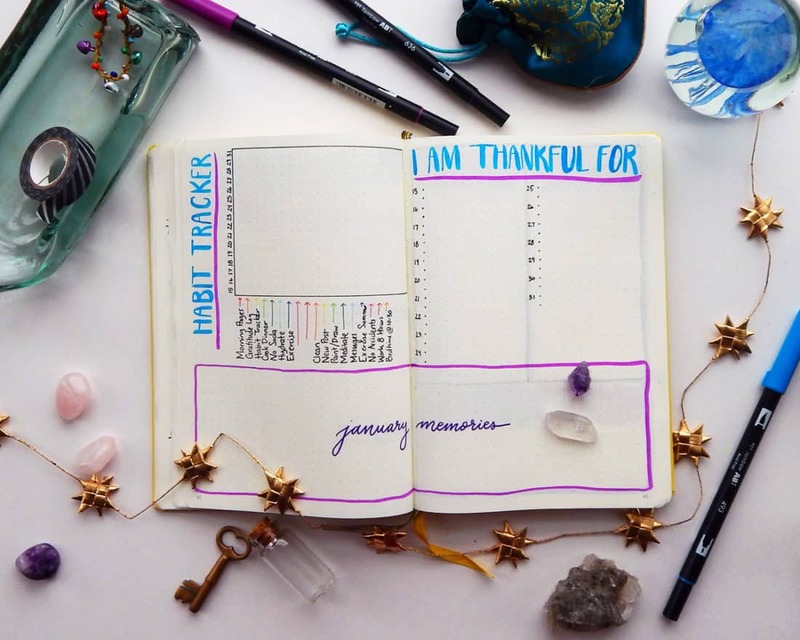 But if you use your bullet journal just right and find the perfect way to adapt it to your life, you will find that responsibility can be really really fun. I promise. All you have to do is put your pen on the paper and begin. I really appreciate your story. I was holding on to waiting until January to start because…. (no reason). Thanks for the loving push. I will work on setting up something simple this weekend. So happy to hear this was the little nudge you needed Vanessa! You can do it! I cannot draw. Finally received my bullet journal hard to get over here. I have made a number of mistakes already, but have foggy mind due to health conditions not but I am trying to accept my limits, even the shaky hands. Really excited to do the journal and it can help me have good habits and use my limited energy better. Great someone created this concept. First saw it on pinterest. Hasn’t caught on here yet. Looking at all the beautiful spreads out there, I feel like you need to be an artist to bullet journal! That’s my intimidation, and that even if I get better, it’s in the book till I’m done with that one. Baaah! We all start somewhere, Marni. You never know what artistic talents may be hiding inside until you just start exploring! Etsy has some great stencils if you’re not comfortable with your own artwork. Thanks. Still waiting and hoping mine will arrive here. What is best size bullet journal in inches? Still trying to get one for last 5 weeks. It’s totally going to depend on your preferences, Rosemary! The pretty standard bullet journal is an A5, which is about 8″x5.5″. Some people like A6 journals (smaller, pocket sized journals) or B5 sized journals (bigger, like a ledger). I hope that helps! What is the best size to get eg inches????? I live in a different country and have been trying to get a bullet grid journal for 5 weeks, with 2 failed attempts so far, but will keep trying to get one from different source. That’s a great question, Rosemary! The best size will depend on your preferences. I use a Leuchtturm1917, which is 5.5 x 8 inches. I hope that helps! I’m so happy I found your blog! I started a bullet journal about 3 weeks ago because I was sick of forgetting my homework. (I’m a high school student) I immediately noticed a change. I stopped forgetting so many assignements and my head is so much more clear! I tried a bullet journal once in the fall, but I tried too much, too fast and gave up after a week. This time, I took your advice and started small, and it’s working out so well! I’m glad you’re giving it another try, Monica! It’s tempting to add a ton of stuff at the beginning, but it can be so overwhelming. And I wish I started as early as you – my time in high school would have gone so much smoother 😀 I hope you find this time around to be a little bit easier and more productive. Good luck! Great post, and spot on, as I transition out of my Franklin Planner to Rosa, my Bujo. (Yes, after hearing about Lemon, mine had to have a name, too!) Seriously, not sure how I was really making it without Rosa, and will be transitioning next year to a simple date book that will sit next to my Bujo, as my “future planner”. This will be transitioning me out of a daily Franklin that I have used for about ten years now. This method is just better overall! Encouraging everyone to take a serious look at the Bujo method; I think there’s a place for it for everyone. Kristi, I love that you named your journal 🙂 ! And I’m so glad you enjoyed the post. I hope you have a ton of fun moving over to Rosa and building your new organization system! I am not new at bullet journaling, but I make use of this article to tell you how much I love how you write ! Your posts are always lengthy, but the words flow so naturally and you’re not redundant… Also I just finished your email course on productivity (have ye to do all the things you do, but now I am at least realizing all what I can do if I put myself to it), and I think I am turning into a big fan of you! I just have one little nagging question, because I am not very good at determining the size of notebooks compared to the size of the pens : your first notebook, the Ecosystem one, was it a A4 or A5 size ? Thank you so much for your kind words! My old Ecosystem is an A5 sized journal, though I must admit that it feels smaller than the Leuchtturm1917. Perhaps that is because the pages don’t lay down as flat as they do in the LT1917. I’m so glad that you enjoyed the post and the email course, and I hope you have a wonderfully productive year!